This entry was posted in books, brain, breakthrough, breathing, gratitude, mind, NLP, science, sitting and tagged alpha, Barton Creek, beta, Brain State Technologies, brain training, brainwave optimization, delta, frontal lobe, Gigi Turner, NeuroBeginnings, occipital lobe, stay-cation, theta, Zilker Botanical Gardens by MaryAnn Reynolds. Bookmark the permalink. I have been considering this therapy for some time. The testimonial you gave was helpful. I would be curious to know how things went for you over months after the therapy. That’s a very good thing to be curious about! It’s been nearly a year and a half since I underwent brainwave optimization. I feel that my brain has continued to improve in functionality. I can’t say that it is all due to brainwave optimization, however — my path to well-being includes yoga, dance, diet, meditation, inquiry, and study, and I believe those activities have helped maintain and enhance the benefits of optimization. It’s not that I never have setbacks or make mistakes, but I feel more resilient than ever, with a lot of vitality. I hope that satisfies your curiosity! Are you happy with the results and money spent? Have you noticed a significant difference after the “therapy”? Are you happy with the results and money spent? It would be great to know! I am glad I did it. I noticed that improvements in brain functioning continued for months after I finished the optimization sessions. I’m not sure these improvements have actually ever stopped because I do other things for well-being that help my brain operate well. 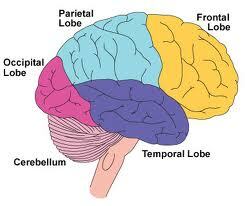 For instance, we now know that diet plays a big role in brain functioning. Getting off gluten and clearing excess candida definitely improved my brain function, and it didn’t cost much. Also, staying hydrated! The brain is 85% water, and not drinking enough diminishes its functioning. Most people don’t drink enough water. Here’s more on the topic: http://www.waterbenefitshealth.com/water-and-brain.html. Also more evidence is available that sugar impairs brain function. So there’s lots you can do for your brain. Last week I did the 10 sessions optimization was not sleeping well and always worrying. I think it was well worth it right now. Stuff that was bothering me is not so much anymore, and I still have a hard time falling to sleep but once I am asleep its a much deeper sleep and dont wake every hour. LiveLife, I can imagine that you will continue to experience improvement in your sleep and anxiety levels. Would love to hear back after a month. LiveLife, and anyone else who has used brain optimization, I would love to hear more about your results, especially several months afterwards. Did you find it effective, and if so, what specifically did it address/help you with? How many sessions did you do? Thank You in advance!